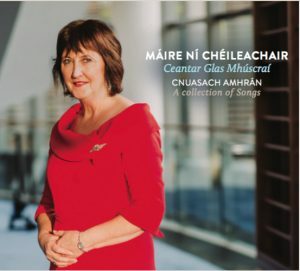 Samplaí Ceoil: Sound bites of the "Caoineadh"
"Cathal Goan, Director General of RTE launched the recording of the famous lament ‘Caoineadh Airt Uí Laoghaire’ set to music by Peadar Ó Riada at the Ionad Culturtha in Baile Bhuirne recently. Goan described the piece performed by Cór Ban Chúil Aodha under Ó Riada’s direction as having captured the power of the lament - a poetic form he said that makes the connection between life and death. He said it was a work of art in which the tradition had come full circle bringing together the eighteenth century work composed in the area with the music composed the same locality. History records that the Caoineadh was composed by Eibhlín Dubh Ní Chonaill over the body of her beloved husband Art Ó Laoghaire. The late eighteenth-century epic poem is renowned as one of the greatest laments and love poems of the Irish language, capturing the life and tragic death of Art on the 4th May 1773. Mr Goan referred to the academic debate about whether the Caoineadh was a spontaneous composition on the spot by Eibhlín Dubh Ni Chonaill or a conscious literary piece composed over a period of time. One way or another it was a literary jewel, he said. Thanks to Prof. Sean O Tuama who published the Caoineadh in the 1960s it became available to the public, Mr Goan said. Peadar O Riada had a great understanding of the tradition and a feeling for the heart and spirit of the work, he said. The choral work while rooted in the Irish tradition also has elements of the European, brought together masterfully by O’Riada, he said. “I don’t know of any other choir who learnt a 45minute piece by ear without any written music he said, congratulating Mr O Riada on the vision for having done it. 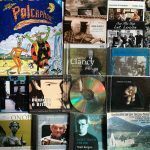 Peadar Ó Riada wrote the music over a fifteen year period, blending the Caoineadh with a musical composition which enables present day audiences to re-acquaint themselves with the great lament. He began composing the music for the Caoineadh in 1988 bringing together Cór Ban Chúil Aodha for the first time. In 1989 the choir performed the first third of the Caoineadh in Cork, Dublin and London. 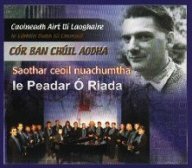 In the spring of 2001 the choir was regenerated in preparation for the world premier of Caoineadh Airt Uí Laoghaire, performed in the Ionad Cultúrtha, Baile Mhúirne in March 2003. 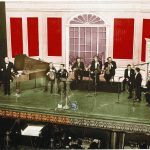 The Caoineadh has since been performed in Macroom, Corca Dhuibhne, Waterville, Belfast, Dublin, Galway and in Cork City as part of both the Folk Festival and the International Choral Festival. Since the premier in 2003 the choir, which has nineteen members, is broadening its repertoire and Peadar Ó Riada is currently working on a new piece. 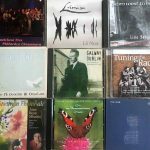 The CD, is distributed by Gael-Linn and is widely available." Article copyright Catherine Ketch 2004. This late eighteenth century epic poem is one of the greatest laments and one of the greatest love poems of the Irish Language. Eibhlín Dubh Ní Chonaill - wife of Art Ó Laoghaire - composed this caoineadh which captures the life and tragic death of her husband Art at the end of the eighteenth century. The caoineadh is divided into five parts composed in the main over the dead body of her husband at the time of the wake and later when Art was re-interred in Kilcrea. The five parts denote the various settings of the poem and also the other contributors to the caoineadh i.e. Art's sister and Art's father. The caoineadh, featuring many traditional motifs, survived over the years in the oral tradition until it was documented by Éamonn De Bhál (c.1800) from Nóra Ní Shíndile, a keening woman from Millstreet, Co. Cork. chaointe le brath go láidir ar an saothar, is treise fós ar an mothú pearsanta tríd síos. Mar ba ghnáth ardaíonn daoine eile a bhí láithreach a nguth chomh maith - driofúr Airt agus athair Airt. Tarlaíonn sáraíocht idir dheirfiúr Airt agus Eibhlín Dubh. Cumadh formhór an chaointe le linn tórraimh agus sochraide agus cuireadh beagán leis nuair a deineadh Art a athchur i gCill Chré roinnt míonna ina dhiaidh san. Na ranna so a cumadh ar Art Ó Laoghaire, mhaireadar sa traidisiún béil go dtí gur ghlac Éamonn de Bhál i scríbhinn é (c.1800) ó Nóra Ní Shíndile, bean chaointe ó Shráid an Mhuilinn. móitífeanna éagsúla le pearsain agus le téamaí éagsúla tríd an gCaoineadh. 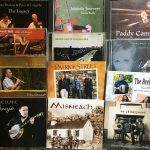 The music is composed using a formula based on the national music of Ireland and utilizing some of Classical European Music's manifestations. motifs are used in conjunction with different personalities or themes in the Caoineadh. Born 1747 at Raleigh near Macroom he was educated in France and subsequently joined the Hungarian Hussars serving under the Empress Marie Therése. He achieved high rank for his valour on the field. He returned to Ireland bringing with him his favourite brown mare. on his way home to try to settle the matter. Art visited a public house in Carriganima for a few drinks and then continued on his way to Drishane. Meanwhile a warning had reached Morris in Drishane and a group of soldiers were quickly rounded up and sent to Carriganima where Art was fatally shot on his horse by a soldier under Morris' direct order. hOstaire. Bhain sé céim ard amach sarar fhill ar Éirinn. Thug sé an láir cháiliúil abhaile leis. a uaisleacht formad i measc na nGall máguaird - go háirithe Abraham Morris, an tArdshirriam. Eibhlín Dubh( Ní Chonaill) Uí Laoghaire. this way of living. Eibhlín was a spirited young girl in her youth, which prompted her mother to marry her off to a much older man by the name of Connor of Iveragh (Na Foidhrí) in Kerry. Unfortunately, he died six months later and even though she was only fifteen or sixteen years of age, Eibhlín, in tune to the traditions of her upbringing, lamented his death in the traditional 'bean chaointe' fashion. rights to his land.) Eibhlín spotted Art through the window of the town hall in Macroom and fell instantly in love with him. A notice was seen in the newspaper 'Married Mr. Art O' Leary, Macroom, to the Widow Connor of Iveragh' (19th December 1767).Eibhlín married Art against the wishes of her parents who had heard of some of Art's exploits since his return from Europe. They thought that he would not be a suitable husband for Eibhlín. "Fuascailteoir"). 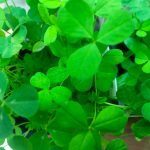 Bean chaointe cháiliúil ab ea a máthair agus mhaireadar cuid mhaith ar an smugaláil - tae, tobac, éadach breá agus fíonta. Cailín anamúil ab ea Eibhlín ach posadh go hóg í le seanduine de Chonchúraigh Uíbh Ráthaigh. D'éag seisean sé mhí 'na dhiaidh san. Chromtha. Phós sí é 19 Nollaig 1767 in ainneoin a muintire. In the opening section of the lament, Eibhlín portrays her personal and private memories of Art Ó Laoghaire: where and how she met him; how he looked and the comfortable lifestyle he provided for her - a lifestyle she was accustomed to in Derrynane. She also tells of how she realised he was in fatal trouble when his blood-soaked horse returned to her. 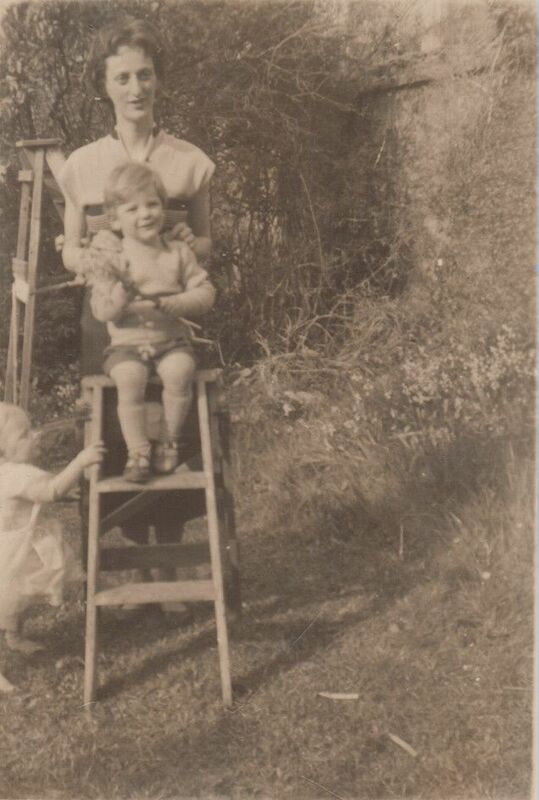 She recounts the horrific horse-ride she endured to find him dead and alone beside a furze bush in Carriganima, Co. Cork. She then expresses her personal loss and the loss he will be to her two sons Conchubhar and Fear. She dreams of bringing him home to his warm bed, to bring the heat of life back into him. *Art Ó Laoghaire was waked in Carriganima on the night of his death and was moved home to Raleigh House the following day where the wake continued. It is said that Eibhlín composed most of the caoineadh over Art's body on the night of his death. Cumadh i gCarraig an Ime agus sa tigh i Rath Laoi. Carraig an Ime. Luann sí an bhuairt atá uirthi féin ina dhiaidh agus gur fágadh a mbeirt chlainne gan athair. Is mian léi an compord a thug Art di a chúiteamh anois leis agus cóir cheart agus leaba chluthar ina thigh féin a thabhairt do in inead na hinse fliche ina bhfuil sé caite. (i) Verbal Duel between Eibhlín Dubh and Art's sister. (ii) Monologue by Art's father. Composed : the night of the wake. stood by him against all the odds, during the four frenetic years of their marriage? statement, by saying that she, also, would have willingly sacrificed her life for her brother. gearán i dtaobh Eibhlín a bheith sa leabaidh agus deir Eibhlín gur ghá san chun na leanaí a chur a chodladh. Nárbh í máthair na leanaí í? Labhrann athair Airt agus cuireann eascainí ar Mhorris, an fear a chreideann sé ba chúis le dúnmharú Airt. Deir Eibhlín go mb'fhearr léi an piléar a dhul ina croí féin. Deir a driofúr go ndéanfadh sí sin féin an íobairt chéanna. Composed: In the early hours of the morning of the wake. knows that it was indeed the truth. He was leaving that morning to 'settle the score' with Abraham Morris. Labhrann Eibhlín ar a briseadh croí. 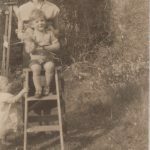 Tagraíonn sí don chuaird dheireanach an 4ú Bealtaine 1773 nuair ar iarr sé uirthi aire a thabhbairt don tigh agus don fheirm mar go mb'fhéidir ná fillfeadh sé féin. Shíl sí gur ag magadh a bhí sé ach tuigeann anois fírinne an scéil. Is beag léi na daoine móra a bhaineann léi agus an chrích a rug iad. Cuireann sí síos ar shinsear Airt. Eibhlín Dubh's answer to Art's Sister. Composed: During the night of the wake. of living, his fine sense of dress, what a dashing man he was and how other women admired him. She apologises for not bringing more of her people from Cork to the wake. Due to a fever (smallpox), many of them had died or were too ill to travel. Art had many admirers. She cries out to Jesus Christ and vows revenge on the one who took Art from her -"bodach na fola duibhe" (Abraham Morris). céile breá féin. Bagraíonn sí dlí agus dioltas ar "bhodach na fola duibhe" - Morris. night of his wake (previous May). She curses the treacherous Seán mac Uaithne who informed upon Art and was, therefore, an accessory to his death. surrendered the horse (??) to Morris after Art's death. even now as he is being placed in the tomb in Kilcrea. death of Art, her true love. is the passion of her valiant and beloved husband Art - now 'ag iompar cré agus cloch' (bearing clay and stones). exhumed and re-interred at Kilcrea. capall Airt ar láimh do lucht na dlí. Goilleann sí uirthi nár tháinig éinne dá muintir féin aniar ó Dhoire Fhionáin. Cé go leanann an saol ar aghaidh deir Eibhlín go bhfuil a saol féin múchta le bás Airt. Ordaíonn sí do sna mnáibh an caoineadh do chuir uathu anois agus deoch d'ól ar Art roim é chur sa Chill.